Hot Sweeper Maintenance Tips When it’s Cold Outside. Those of you operating in the northern tier have probably learned over the years how to keep your equipment performing better during those cold, cold days and prevent high-cost damage to sensitive components. Cold temperatures cause all sorts of physical changes in your sweeper. Hydraulic oil thickens, the diesel fuel will gel, water freezes, the rubber will stiffen, and poly material will become brittle. Diesel Fuel – Untreated diesel fuel will gel and even form wax crystals that can become so dense that it will prevent the fuel from passing through the filters. Water in the fuel lines will freeze and can cause a blockage. The fuel system has water in it simply by the nature of the venting. Air has a moisture content (humidity) and will get into the tank and create condensation. The best prevention is to use either treated fuel or keep your tanks as full as possible, reducing the air volume and subsequently the humidity. Hydraulic Oil – Similar to diesel fuel, hydraulic oil thickens, making it difficult to pass through the system’s filters. Maintaining the hydraulic fluid temperature within optimal limits ranks higher than contamination control in preventing damage to sensitive hydraulic components. So what can you do when the temperatures reach single or sub-zero digits? Make sure you are using a fluid with a viscosity range that is appropriate to the ambient temperature. Your operator manual should offer these fluid weight recommendations. If at all possible, keep your equipment inside (preferably in a heated building) when not in service. During extreme frigid temperatures, consider a magnetic tank heater placed near the hydraulic tank and allow ample warm-up time during cold starts. 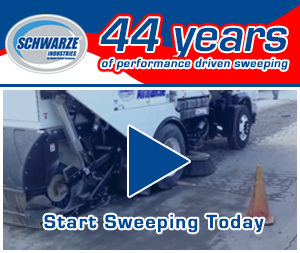 Sweep the center areas of your properties first, allowing more warm-up time for your hydraulic fluid, and save the curb lines, where your gutter broom performance is needed, for last. Engine – A block heater functions much like an electric water heater. It warms the coolant inside the engine block. Both gas and diesel engines can benefit from a block heater. Residual moisture from combustion can even freeze inside of the cylinder walls and on spark plugs. A warm engine will lubricate more thoroughly, reducing wear on critical components such as oil pump, camshaft, lifters and main bearings. Block heaters are relatively inexpensive and well worth the small investment in colder climates. Glow Plugs – Glow plugs (not to be confused with spark plugs) serve several functions. Most importantly they help heat the engine during cold weather startup. A glow plug can cause the engine block to heat to 800 degrees Celsius (1472 degrees F) and significantly improves the engine’s ability to start. Glow plugs can also reduce emissions by up to 49 percent by creating a more efficient burning environment! 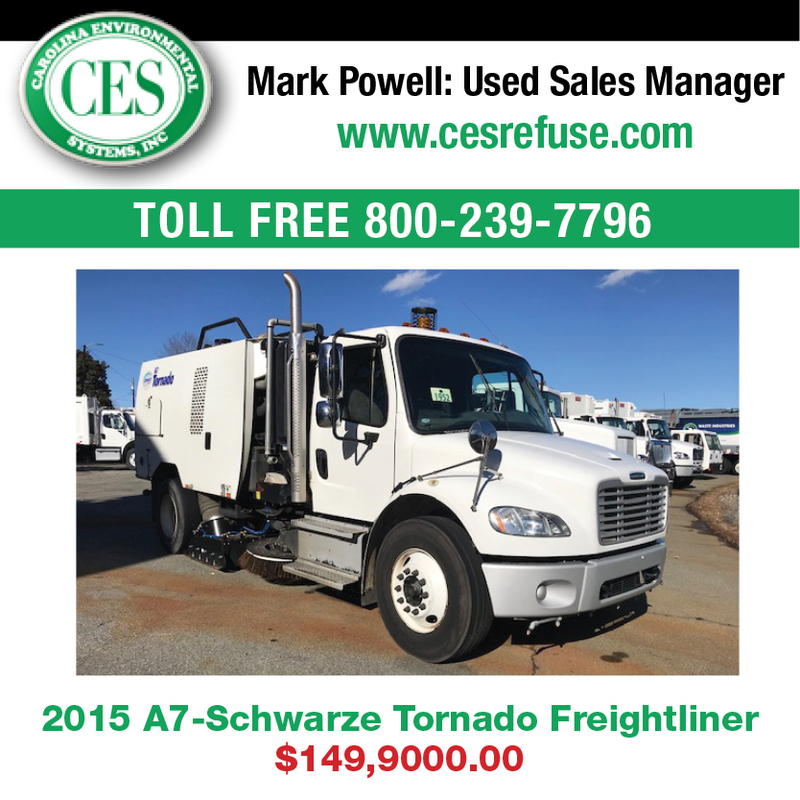 This efficient burning reduces the smoke effect common to diesel engines. Glow plugs are also believed to cause a quieter engine due to the more efficient fuel burn. Water – When temperatures are predicted to fall to or below freezing, drain your water system. It will minimize the damage to your dust suppression system. Unscrew the filter located under the water tank and remove it from its housing. 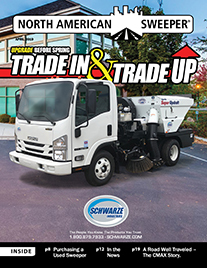 Open the valves for the side broom spray and front spray bar, if your sweeper is so equipped, and turn on the water pump(s) to allow all residual water to drain from the lines and the pump. Be sure not to lose the screen in the filter housing or the large “O-Ring” at the top of the filter housing. Flaps – In colder months you may consider replacing your front sweeping deck flap with a thinner rubber to keep it from getting overly stiff and ‘bulldozing’ material. In extremely cold temperatures the flaps may even have the potential to rip or tear so an extra flap or flap kit on the shelf may prove beneficial. Operator – And of course, don’t forget about your personnel. Make sure they have adequate warm layers of clothing, gloves, hat, face mask, etc. But don’t permit scarves or other loose wraps, as these items can pose hazards and may get caught in moving machine parts. Depending on the travel area and sweeping locations, be sure your operators have an emergency blanket in the glove box. These lightweight Mylar sheets wrapped around the body will keep heat in more efficiently than cloth. A complete emergency kit may include warning lights or flares, flashlight, first aid supplies, high-calorie snack bars, bottled water and jumper cables. In these colder months, a little preventive maintenance and some planning can save you valuable time and costly repairs. 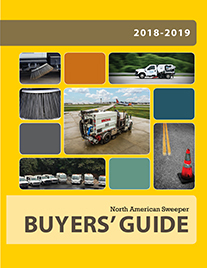 If you need additional assistance with winterization of your sweeping equipment, consult your operator manual or contact your sweeper’s manufacturer.